I used the last days of my Christmas break for some quick refashion projects. I have a huge pile of old or thrifted clothes I keep for refashion projects and recently, a friend gave me a bunch of cute dresses and sweaters that doesn’t fit her anymore. One of these was this cute grey sweater dress which was not very flattering and a bit too short for my liking. I decided to make it into a sweater and use the excess fabric for a cosy cowl neck. I tried the dress on and marked the new hemline with a safety pin. Using tailor’s chalk I marked the line for cutting the fabric (left side of fabric). 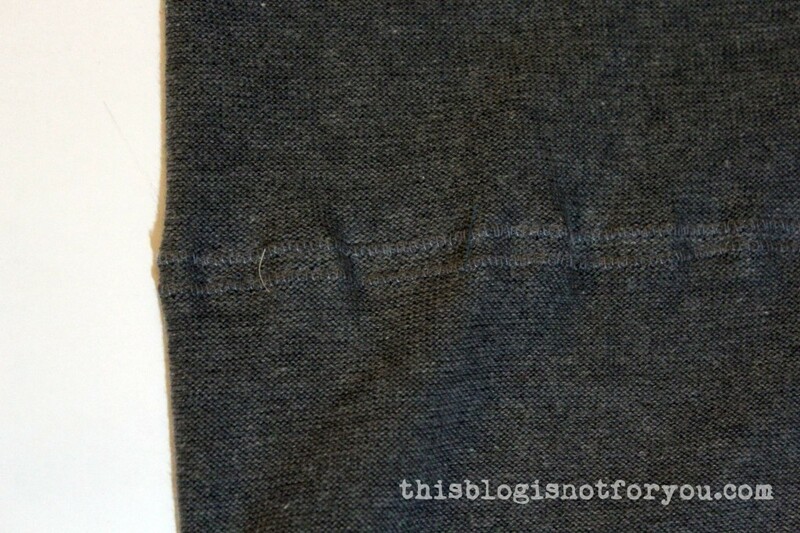 With my overlocker foot I carefully sewed two seams on either side of the marked line using a stretch stitch setting for finishing raw edges. 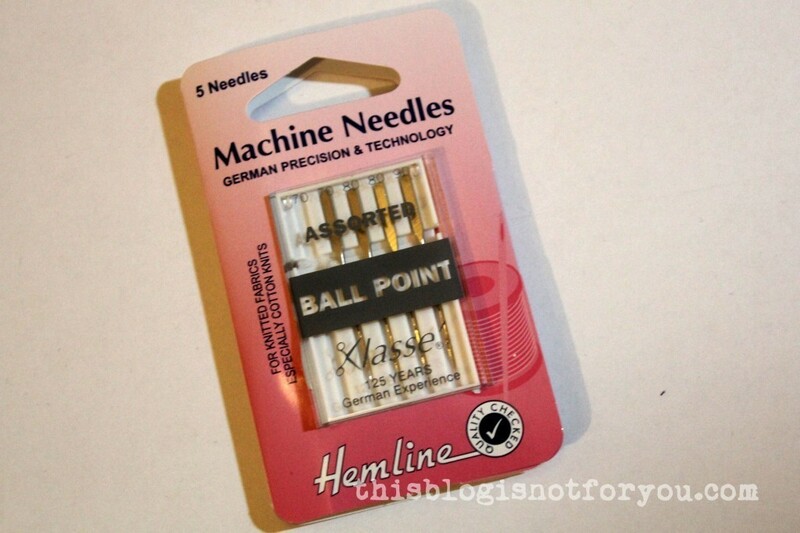 For sewing knitted fabrics, I recommend using ballpoint needles. They’re not too expensive (these were 3 pounds) and they have teeny tiny balls at the tip of the needle which prevent the yarn from breaking when sewing over it. 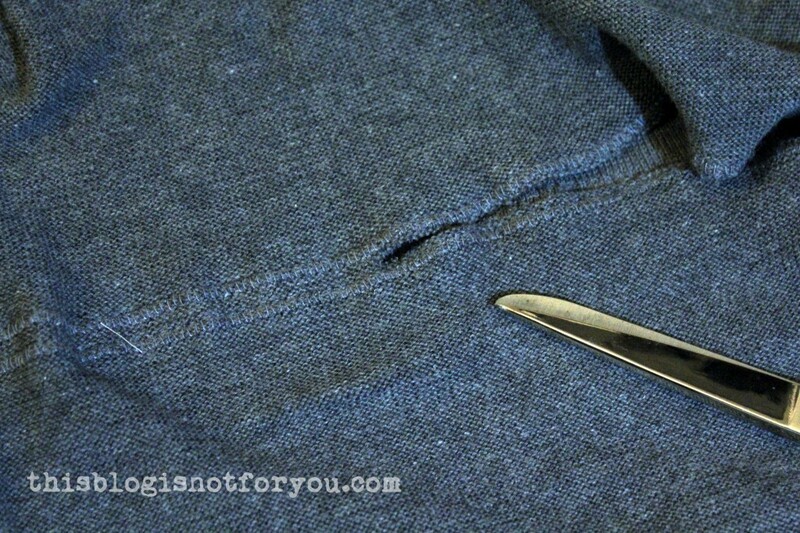 After sewing two rows on each side of the marked line, use your fabric scissors and carefully cut the two pieces apart. 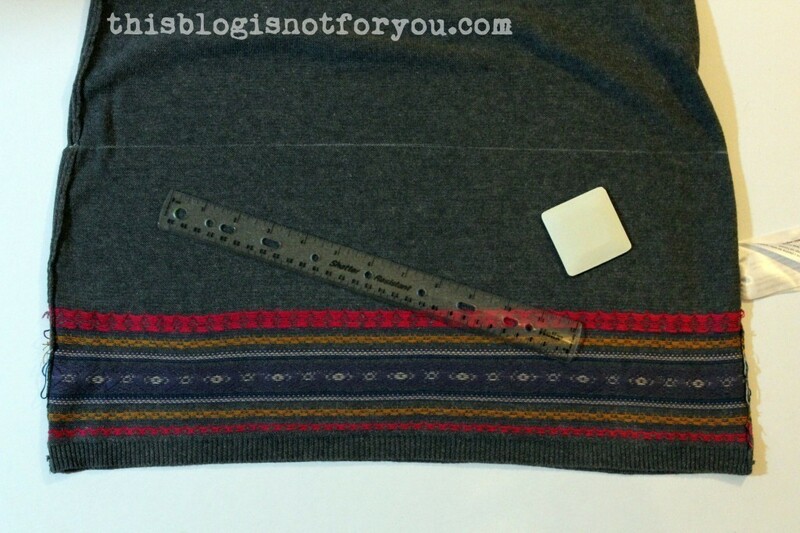 The seams will prevent the knitted fabric from fraying. 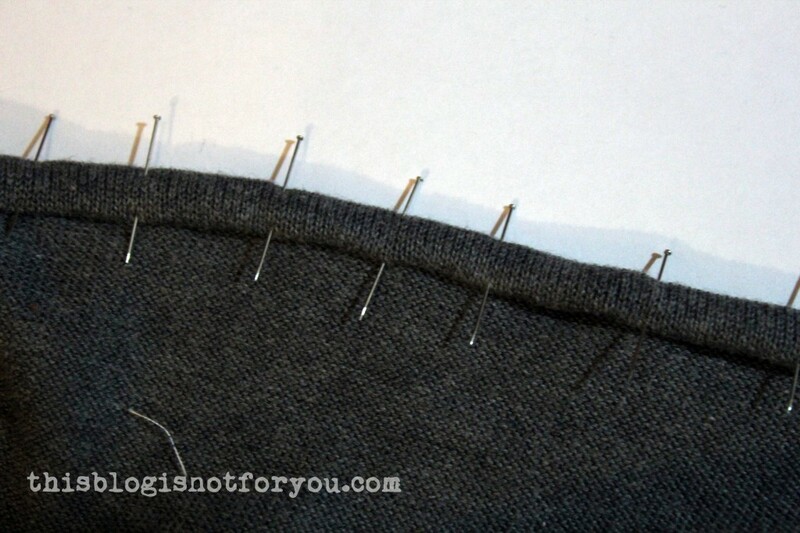 Be careful not to pull the seams as this will stretch the fabric and it will start to fray. 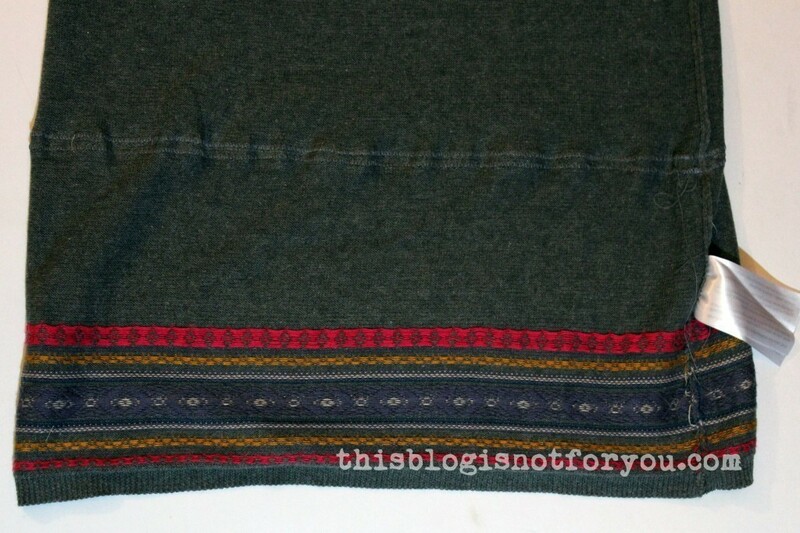 Finish the hem of the sweater. Then sew the cut-off part onto the neckline (left side up, so the right side is showing when turning the cowl neck inside out). I’m quite happy with how it turned out, although I this this technique probably would work even better with a sweater that has a slightly higher neckline (for a more snug fit). 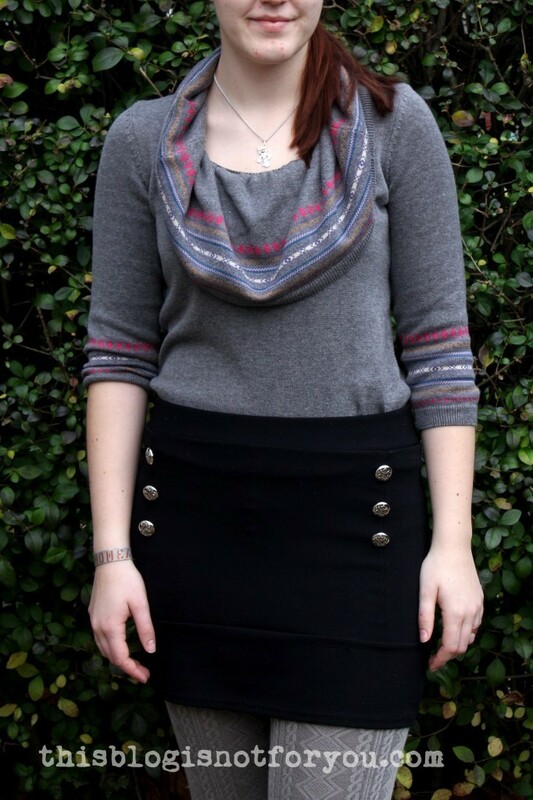 The skirt was a refashion project from last year. 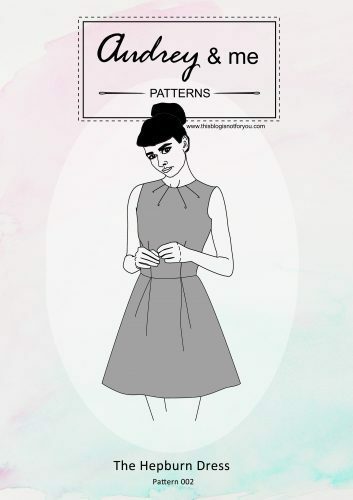 This little refashion can be done in less than an hour and is a perfect project for starting to sew with knits. You could also use two sweaters in different colours to make a colour-blocked cowl neck sweater. Please note: You might not want to use an ancient sweater that has been in the laundry every week since you bought it – the knitted fabric might be strained and tear easily when sewing over it. 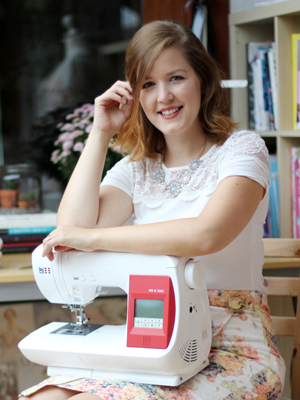 I’m surprised it’s your first time sewing with knits- you’re such a pro with those slippery, tricky fabrics! 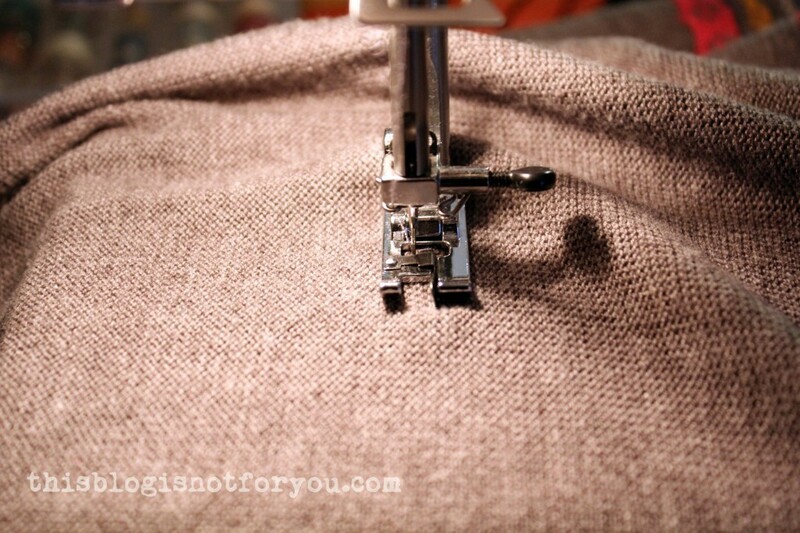 I like to use fusible hem tape on jersey knit…it curls so much that it’s really tough. But the hem tape acts as a stabilizer and makes a nice, even hem. I’m not sure how it would perform on a sweatery knit…but I’m curious I’d there’s another trick or tool to help:) lmk if you see anything about it! Ahh…that I didn’t think of this! I’ve got fusible hem tape at home! 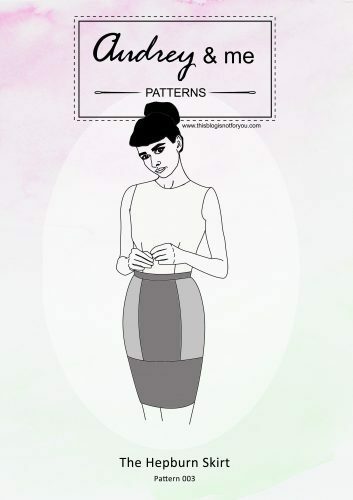 Will try it next time I sew with knits. Thanks Amy! !